Check The What's New Tab In The Top Row ! The Active Chapter is having their 7th Annual Fund Raising Charity Event for the Children's Miracle Network on April 6th. Support them if you can. Read all about it and register to attend HERE. What (and Who) Is This Website For? - Basically, it is for YOU... for Alumni Brothers of the Indiana Alpha Gamma Chapter of Phi Kappa Theta (and its former names) who were active any time from 1938 up to and including the newest Alumni. It is meant to facilitate reconnecting with other Brothers and fondly enjoying the memories of those active days as well as being kept informed of current day happenings. Not Yet Registered? Read Me First - You will see that almost all of the information on this site requires a password in order to view it. This provides a high level of security and privacy to you, unlike some of the social network sites. If you are new to the site, the first thing you should do is read the Welcome Message before getting started. HINT: When viewing this Home Page, always scroll all the way down so that you do not miss anything. We try to make changes frequently; some are small and some are large. We will keep a running record of recent changes to the website so that you know what is different each time you log in. Click HERE to view the Website Updates page. Last Updated 04-04-19. Don't forget to check for any new Announcements at the bottom of this page. NOTE: We have received some questions about passwords and the Message feature. We have added items to the FAQs which hopefully answer these questions. 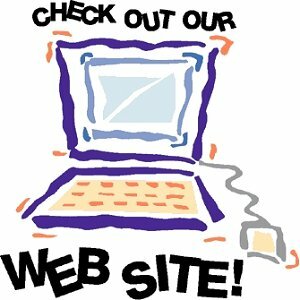 Remember - information on our website is secure and requires your login with a password to view. If you are not yet registered, click the JOIN Here button in the upper right. click on Contact Us at the top of the page to send us an email with your suggestion/request. Please be sure to write Suggestion in the Subject area.